Batto is the art of cutting with a sharp (or "live" blade) sword on a bamboo, straw or tatami mats that have been soaked in water for several days. The cutting is done at a pre-determined angle and the wet straw or mat simulates the resistance of a human body. 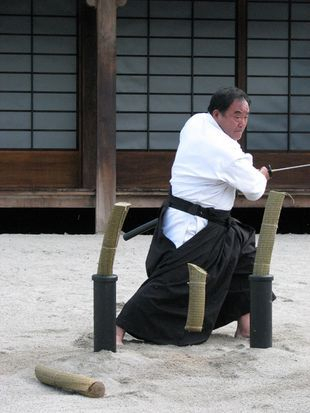 This technique is similar to Iaido where form is practiced without actual cutting. Students of Batto practice form, accuracy and timing to increase skill and strength. The sword was originally used for killing people, but after 14th century the Shogun Ieyusu Tokugawa created the EDO era. During his control of Japan, peace was restored, and therefore, the use of the sword changed from killing opponents and protecting oneself and others to saving people, and as a mind and body exercise. In that way, it changed from a killing sword to a living sword. After World War II, Kendo and Iai-Do changed to more of a sport which led to a few problems, since the philosophy behind the training is that without the true feeling of the art, the sport is no different than playing baseball or running. The way of the sword is much more valuable than that. The way of the sword is clearly understood as "live or die", therefore, the art of true cutting is the center of Kendo & Iai-Do. Practitioners of Kendo (bamboo fighting or fighting with no partner) and Iai-Do (cutting in air) cannot realize the true feeling of cutting. One only realizes this experience from Batto-Jutsu. Accomplishing good cutting form does not depend necessarily on size or strength, but rather technique and speed. Men, women and disciplined children may learn the art. Since the sword is a very sharp weapon, beginners must learn the fundamentals before doing any actual cutting. Practice swords or "Bokken" are used until a certain skill level is achieved. Training in Batto-Do with a real sword requires a focused mind, a well-conditioned body, and a balanced spirit. All this control is learned through the practice of Batto katas before any cutting is attempted. Safety is strictly adhered to in Batto classes. The Batto-Do techniques practiced by members of the International Batto-Do Rengo-Kai (Alliance) and the Society for the Preservation of Toyama-Ryu Batto-Do have a long history. It includes techniques and variations of techniques used by the Samurai as well as modern era Japanese soldiers. The name Toyama-Ryu comes from the military school at which these techniques were codified and studied-the Toyama Military Academy. Officially known as the Rikuguin Heigakko-Ryu Toyama Gakko Shucho-Jo, it was formed as a branch school for Army officers in 1873. It was modelled after European military academies such as the French and Prussian military academies. Early students trained in a variety of studies related to military tactics and such skills as Kendo, Judo, horsemanship, marksmanship and physical training. It is also interesting to note the school was the home for the Army's school of music, and that students were also trained as military musicians. In 1875 the school became the Japanese Army's Military Preparatory School and came under control of the Army Ministry. Prior to World War II the Toyama Academy was renowned as a school which produced outstanding officers who were exceptionally physically fit. The Academy had many quest instructors, some of whom had been samurai prior to the Meiji Restoration. Two famous Kendo instructors at the school were Takano Sasaburo and Nakayama Hakudo. 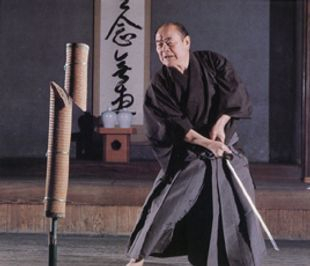 In addition to his Kendo expertise, Nakayama Sensei was a recognized expert in Omori-Ryu Iaido, and the head of the Shimomura-ha branch of Muso Jikiden Eishin-Ryu Iaido. 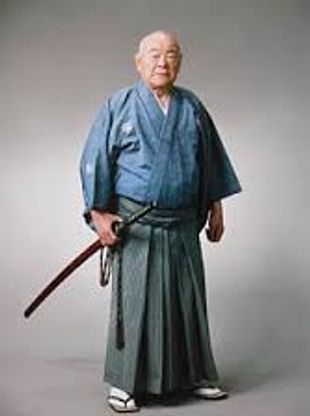 Nakayama Sensei greatly influenced the swordsmanship training at the Academy. Nakayama Sensei would later go on to found one of the most widely practiced styles of Iaido today, the Muso Shinden-Ryu. At the Academy, the study and use of practical cutting techniques from the old Koryu was emphasized. A review of the advanced techniques of the Omori-Ryu, the Mugai-Ryu and especially the Batto-Do techniques of Eishin-Ryu as taught at the Academy by Nakayama Sensei clearly shows the basis for the techniques practiced in Batto-Do today. It is generally held that the official formation of the Toyama-Ryu was in 1925. 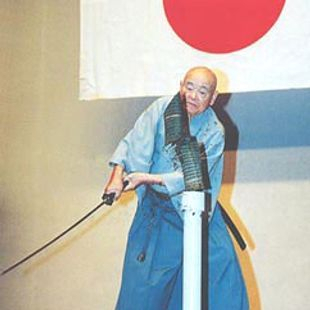 According to Sensei Nakamura Taizaburo, the techniques codified were agreed upon by a committee of senior fencing instructors at the Academy and given the name Toyama-Ryu Iaido. A 1941 training manual for the Academy showed only five Toyama-Ryu Kata as well as descriptions for Omori and Eishin-Ryu Kata. A training manual from 1944 the Gunto no Sho shows seven Kata as well as a section on tameshigiri (test cutting). These techniques were taught to the Officers at the Academy until the surrender of Japan at the end of World War II. After World War the practice of these techniques, along with the practice of all martial arts was prohibited by the Occupation Forces in Japan until the ban was lifted in 1952. The individual most responsible for the renewed interest in Toyama-Ryu techniques is Nakamura Taizaburo. Nakamura Sensei was a graduate of the Toyama Academy, and was also a Special Battlefield Kenjutsu Instructor for Japanese soldiers during World War II. In 1952 after the martial arts proscription was lifted, Nakamura Sensei once again began to teach Toyama-Ryu Iaido. In 1977 Nakamura Sensei, along with another former instructor at the Toyama Academy, Masuda Hideo, formed the All Japan Toyama-Ryu Iaido Federation. A renowned Kendo and Iaido instructor, Nakamura Sensei was awarded Hanshi and 10th Dan by the Kokusai Budoin. 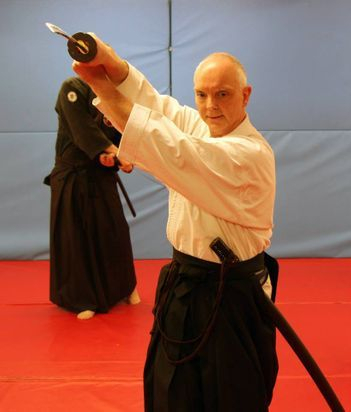 In spite of this great honor, Nakamura Sensei was always ready to point out that the Toyama-Ryu Iaido was formed by committee, and therefore had no one founder or "Soke". Nakamura Sensei would continue to work tirelessly for the promotion of Batto-Do. After many years of study, Nakamura Sensei left the All Japan Batto-Do Federation and founded his own style, the Nakamura-Ryu. Even in his later years Nakamura Sensei worked traveled worldwide to promote Batto-Do. Nakamura Sensei taught in a number of Dojo in Japan. One of these was the Dojo of Sakagami Ryusho. 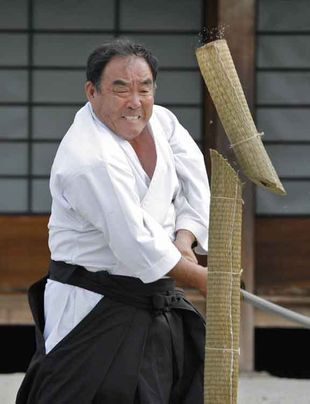 In addition to his expertise in Shito-Ryu Karate, Sakagami Sensei was an expert practitioner in Kendo and Iaido. At Sakagami Sensei's Dojo, Nakamura Sensei taught Kendo and Iaido including the techniques of Toyama Ryu Iaido. It was during this time that Nakamura Sensei began to teach the president and founder of the International Batto-Do Rengo-Kai in the United States, Sensei Fumio Demura. Demura Sensei continued his studies in Kendo and Iaido with Nakamura Sensei until Nakamura Sensei passed away May 13th 2003 at the age of 92. 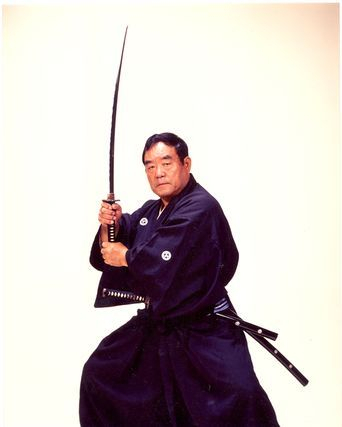 In the 1980's Demura Sensei began to invite senior Batto-Do instructors to the United States to help provide proper instruction in the techniques of Toyama-Ryu Iaido. In 1989 Nakamura Taizaburo Sensei came to the United States to see the progress that had been made. After this visit, Nakamura Sensei formally recognized Demura Sensei as a Senior Instructor for Toyama-Ryu. After his death in 2003, the Kaicho (president) of the All Japan Batto-Do Federation, Ueki Seiji began to make regular visits to the United States and Demura Sensei's Dojo to help promote the correct study of Toyama-Ryu Batto-Do. After Nakamura Sensei's visit in 1989, Demura Sensei formed the International Batto-Do Confederation. This confederation maintains the teachings of the Toyama-Ryu and the All Japan Batto-Do Federation in Dojos around the world. Visiting instructors from the All Japan Batto-Do Federation continue to make regular visits to Dojo within the Federation to insure quality instruction. Members of the IBC Dojos also make regular trips to Japan for competition and instruction from the Senior instructors there. It is the desire of the members International Batto-Do Confederation that these techniques, with their centuries old tradition of battlefield effectiveness not be lost. It was the desire of Nakamura Sensei, and is the desire of Demura Sensei, that the study of these techniques, along with the moral correctness that pervades them makes the practitioner a better person. For it is in this training that we learn to "cut" away the actions and attitudes that are detrimental to ourselves, our family, and our society. These are the goals of a true practitioner of Batto-Do.